This is the Timing Chain for the Camshafts on the 2.7T Motor found in the B5-S4, C5-A6 and C5-allroad. 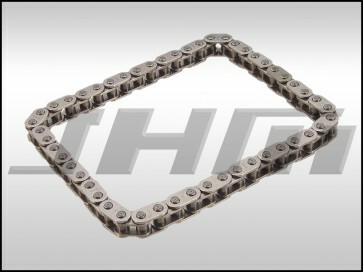 This chain fits both sides of the motor, two are required per motor. This is a high-quality, replacement unit made by the IWIS, the Original Equpment Supplier. The OEM Part Number is: 058109229B or 058 109 229 B. If you need two (2) of these chains for your car, please make sure to change the quantity below before adding these items to your cart or change the quantity at checkout.